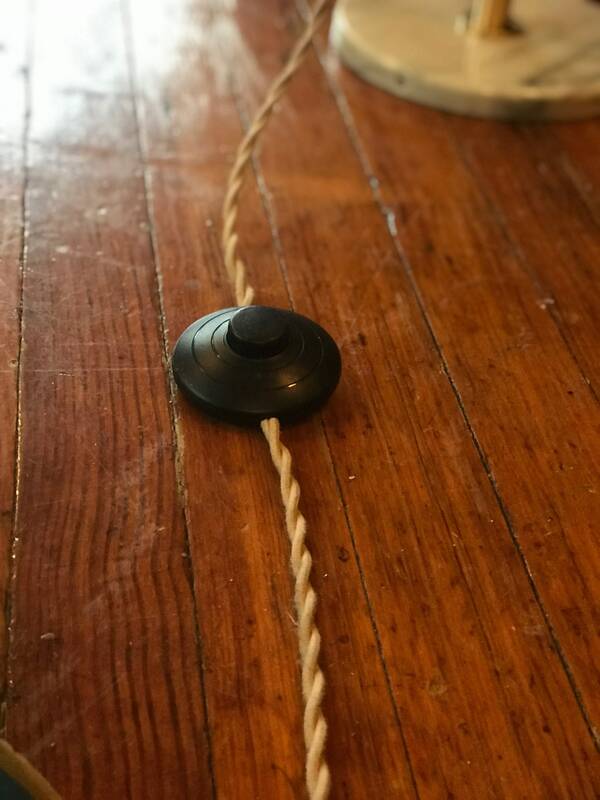 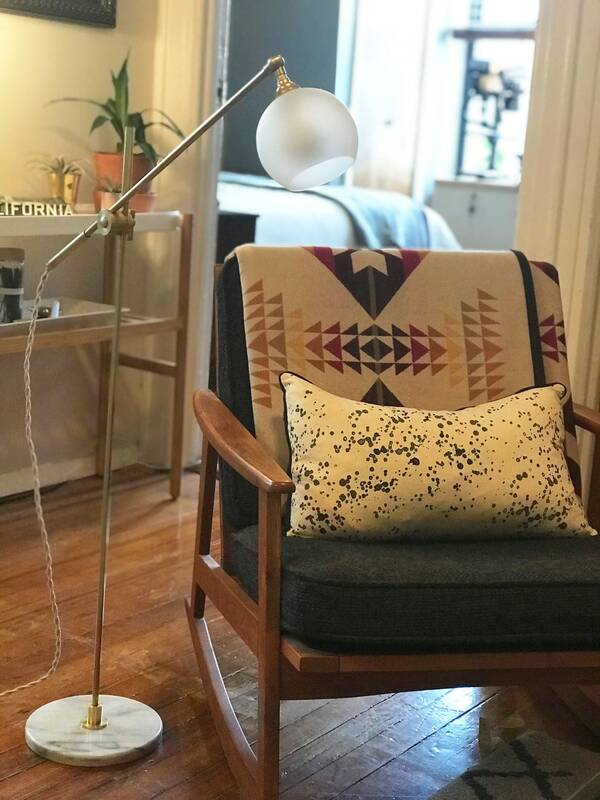 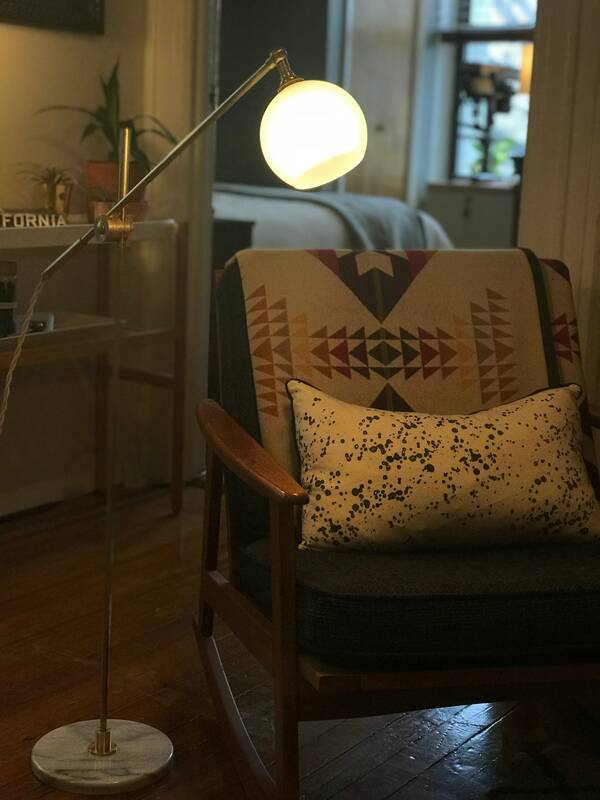 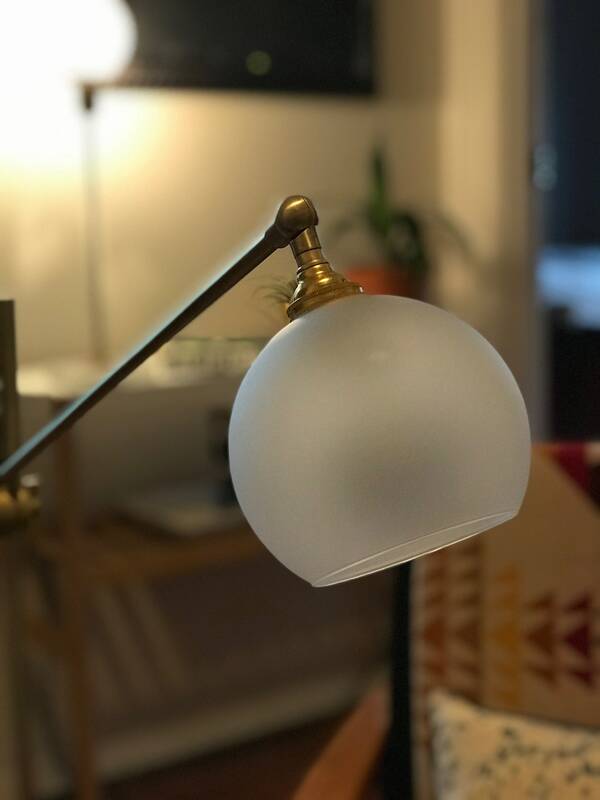 Designed with an eye for clean mid-century lines, I am especially proud of this task floor lamp which I have named Libby. 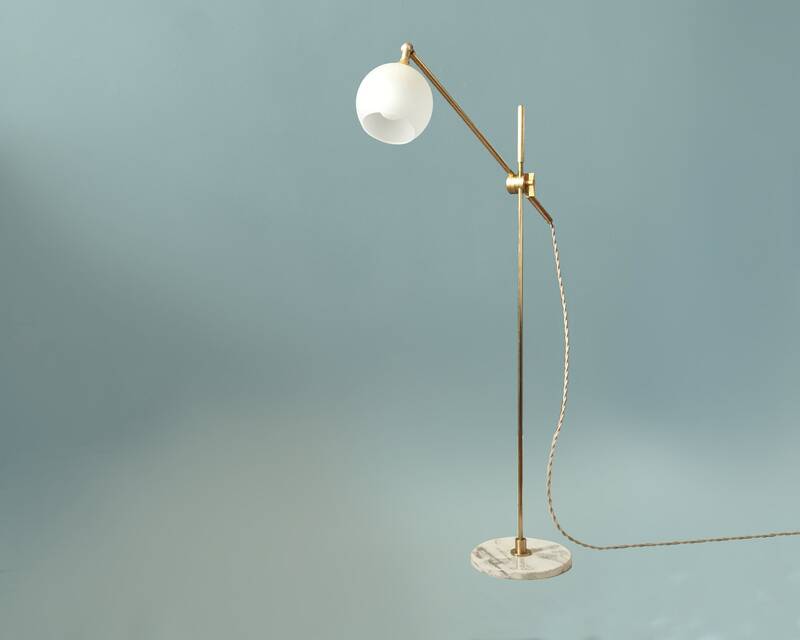 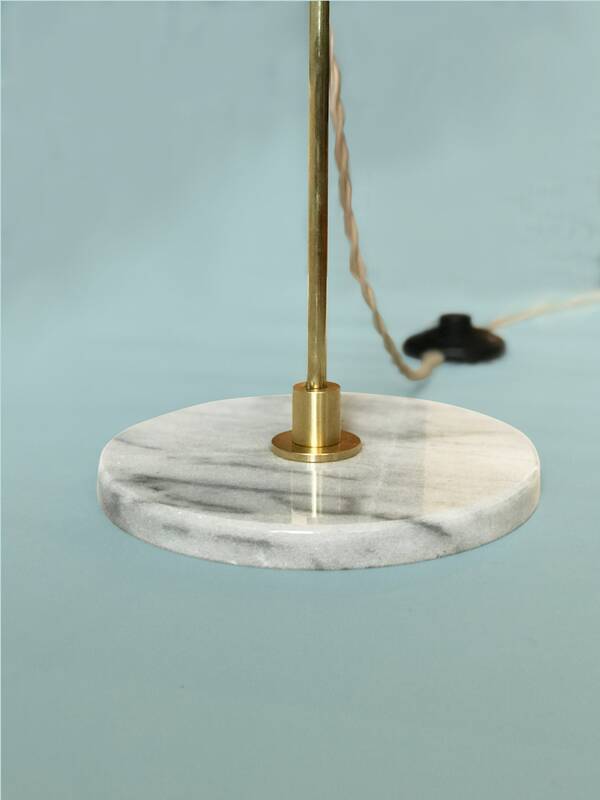 I make each lamp entirely by hand using heavy gauge brass and solid white marble. 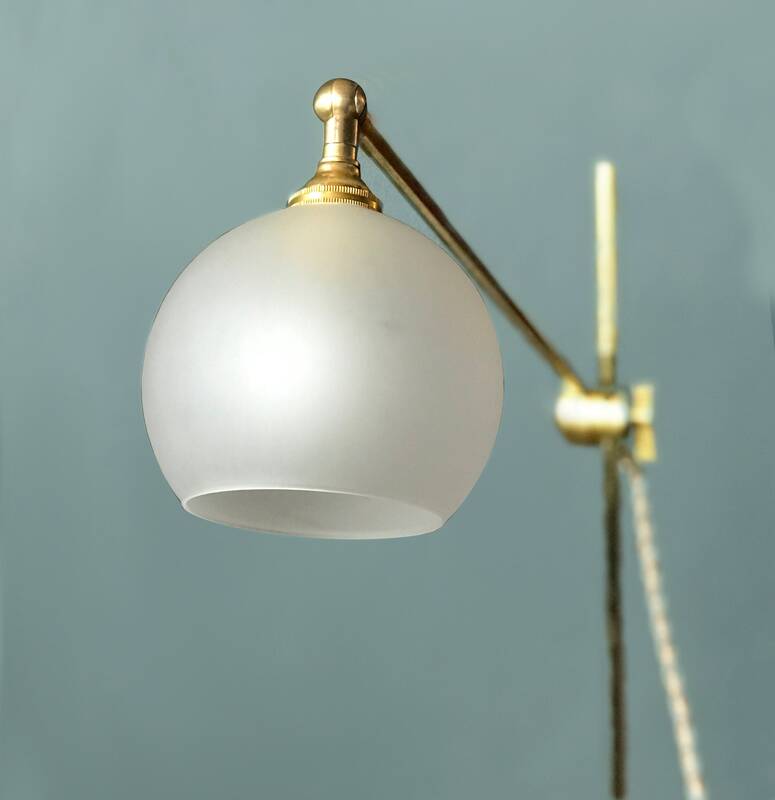 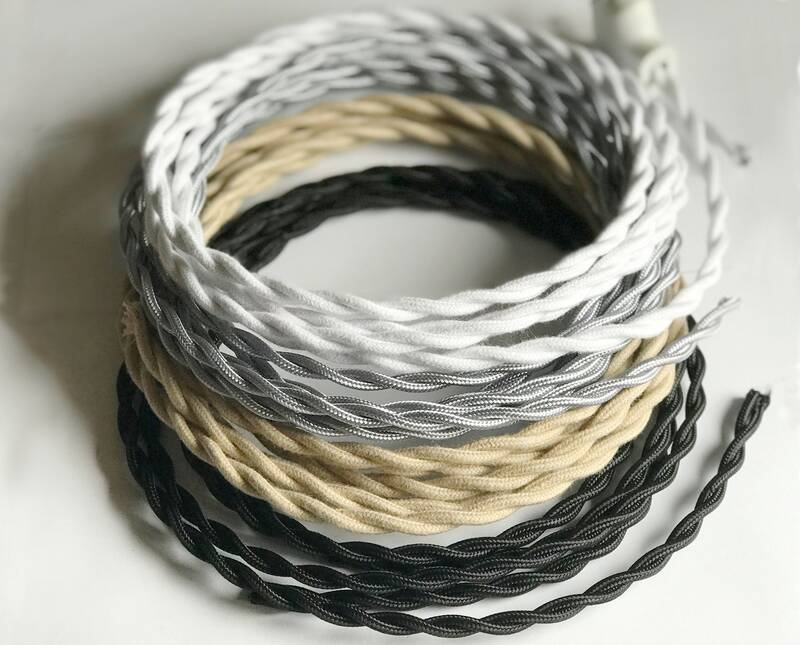 The glass shade is sand-blasted for a beautiful matte white effect which pairs beautifully with the marble base.